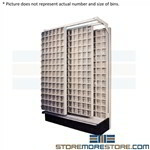 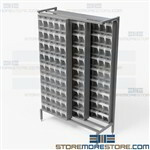 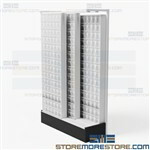 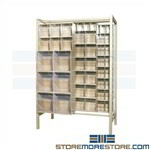 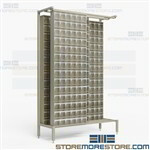 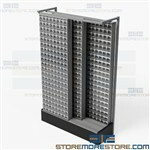 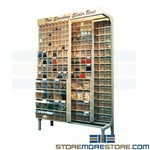 Mobile sliding bin shelving and cabinets are an excellent way to organize and optimize your storage space. 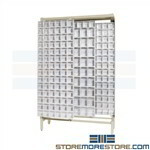 With a variety of bin and shelving sizes and options, you can customize your units for storing small parts such as electronic components, nuts and bolts, fuses, clamps, and more. The sliding shelves are available with or without removable tilting bins in two, three, and four deep configurations.